Sibanye Gold said consultations over restructuring unprofitable gold-mining operations in South Africa could lead to more than 6 000 job losses. Sibanye said earlier this week that it was considering shutting unprofitable shafts and cutting jobs at its South African gold mines amid a three-month-old wage strike that’s curbing output. 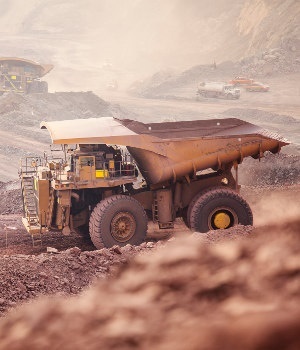 Measures to curb losses at parts of its Beatrix and Driefontein mines could impact 5 870 of its the company’s employees and 800 contractors, the company said Thursday. Sibanye shares gained as investors weighed whether the move would improve profitability. "Contemplating potential restructuring of this nature is never taken lightly and we are aware of the possible impact on many of our colleagues," Sibanye Chief Executive Officer Neal Froneman said in a statement. "Our best attempts to address the ongoing losses at these operations, have however been unsuccessful and sustaining these losses may threaten the viability of our other operations". 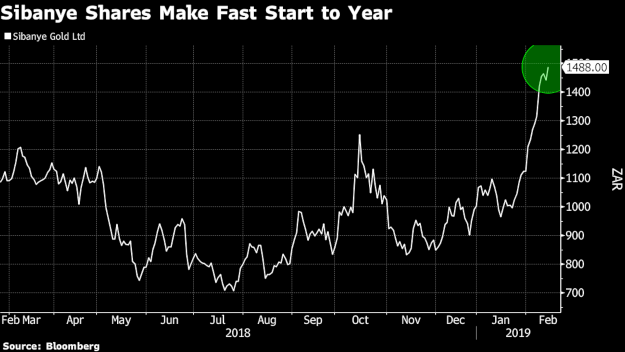 Sibanye shares surged as much as 7.4% in Johannesburg. The stock was 3.9% higher as of 12:34, bringing this year’s gains to almost 50%. Investors were expecting Froneman, famed for his turnaround successes in the 1990s, to announce a plan to restructure unprofitable shafts, said Prince Mopai, an analyst at All Weather Capital. "He is known for these cost-cutting measures and this could be positive for shareholders," Mopai said. "Sibanye may lose some production due to the closure of shafts, but whatever remains will give them the benefit of better profitability". Initiatives to contain losses at its Beatrix and Driefontein mines have so far been unsuccessful, the company said. Sibanye said it hoped consultations will help find ways to minimise and avoid job losses. Rising costs, including higher power prices, are undermining the economic viability of its gold operations, Sibanye said earlier this week. Three of the company’s gold mines are facing a strike by thousands of workers allied to the Association of Mineworkers and Construction Union. Sibanye said earlier on Thursday that its full-year loss narrowed because of higher palladium prices and earnings from its US operations. The miner has diversified into platinum-group metals, acquiring assets in southern Africa and the US. Sibanye expects to report a 2018 loss of $77m, compared with a loss of $333m the previous year.